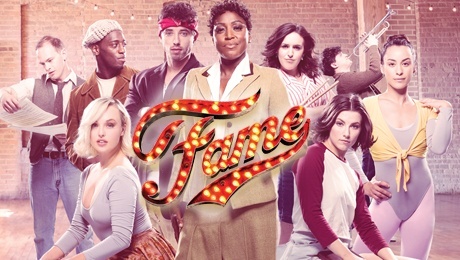 First conceived in the early 80s following the runaway success of the film and TV spinoff that followed, Fame - the musical makes a return trip to the King's theatre in Glasgow. This new production steps away from previous efforts in 2014 to update the show and returns it to its original 80s setting. A relief for all Fame purists! With creative choreography and direction by Nick Winston, the production is led by strong performances from both Keith Jack (Nick) and Molly McGuire (Serena) who captured the essence of their characters and had fantastic chemistry. McGuire sang particularly beautifully during Think of Meryl Streep resulting in an emotive hairs on the back of your neck standing up moment. An absolute highlight of the piece was Mica Paris's exceptional, emotional and heart warming performance of These are my Children. Unlike other interpretations, her softer approach to Miss Sherman in accepting Tyrone’s circumstances brinsg heart to a role that can be blunted in the wrong hands. Stephanie Rojas (Carmen) brought sincerity and credibility to Carmen. She perfectly captured the downward spiral of her life with care and honesty. The normally bold and quite brash Iris, played by Jorgie Porter, has a softer portrayal and there is perhaps a missed opportunity for Porter to make this role more of her own however her duet dance with Tyrone (Jamal Crawford) is beautiful and Crawford's dance technique exceptional. Unusually for the big dance numbers they used lead roles such as Carmen and Mabel which seemed a strange choice. The characters were presented as the strongest dancers and it felt there was less ensemble work with this production than Fame normally demands. Crawford too could have been given had a bigger role in Dancing on the Sidewalk which is his biggest number. Overall this is a fun night out with some real highlights but, spoiler alert, there is no taxi in the final number and the addition of Mica Paris singing the second part of this, traditionally Carmen's moment, is a departure from the norm. However, the song declares I want to make magic and Fame still brings that. The audience will leaving sure that Fame's gonna live forever! Fame the Musical is at the King's Theatre Glasgow until Saturday 4th August. For tickets and information visit ATG Tickets.